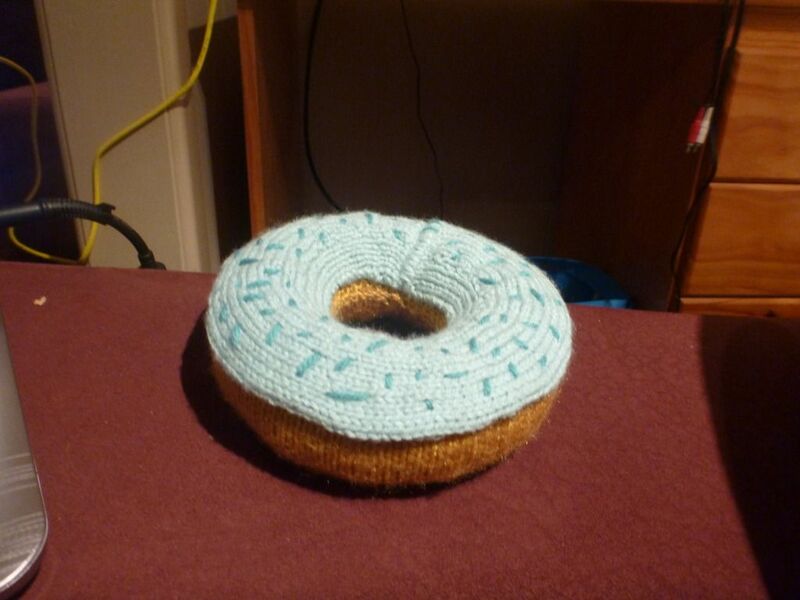 It is a giant knitted donut! I love it! and the duck sits perfectly in the middle a wonderful pair. Oh, that is TOO CUTE!!! And I love the duck with his little hat! Too cute! 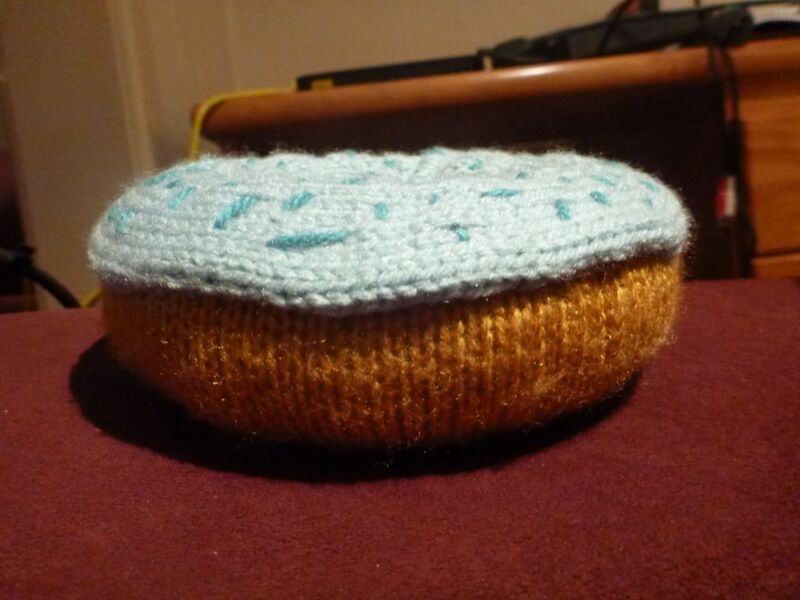 I really must get better at knitting and have a go at this project - love it! How cute is that?! Great job. I love the donut and the duck they are great! Obviously. 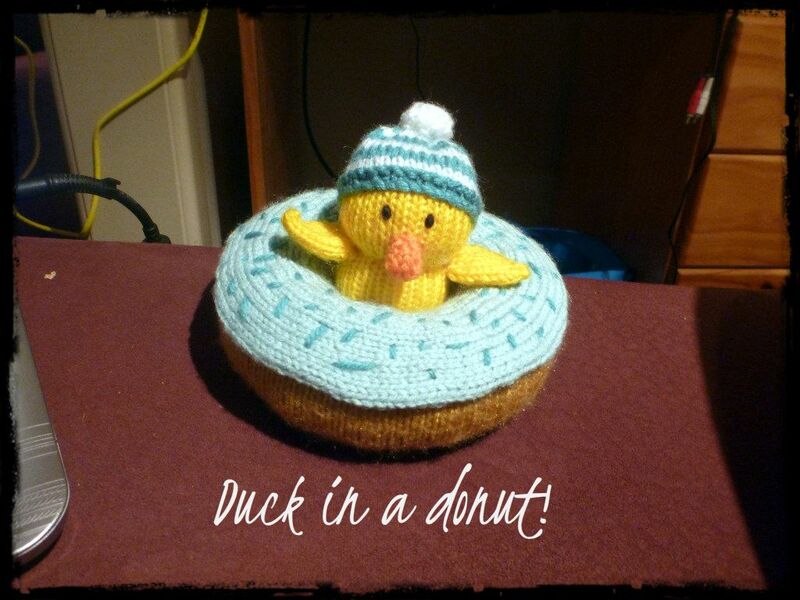 Because a duck would naturally sit in a doughnut wearing a little hat LOL. I love the doughnut!! It looks so Krispy Kreme!! !